In the middle of the last decade an independent studio presented their first movie project to the world.That movie? Iron Man. That studio? Marvel Studios. After the announcement, Marvel Studios was met with headlines like 'Marvel Rolls Out The B Team', hinting at the fact that Marvel sold away the live action movie rights of any character Hollywood studios wanted, when they were in dire financial trouble in the 1990s, leaving only the lesser known characters. 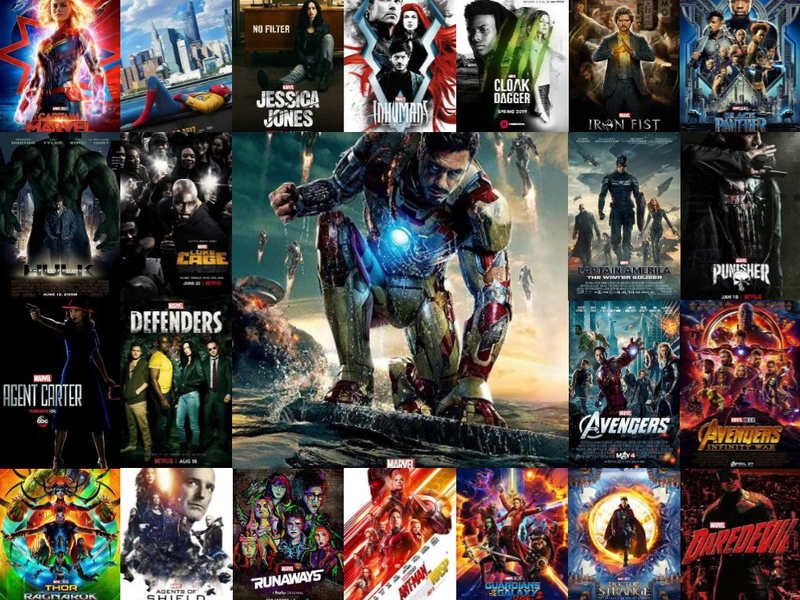 It would be the start of a franchise, which is today the highest grossing ever: the Marvel Cinematic Universe. Most of you will know the Marvel Cinematic Universe, or MCU for short. 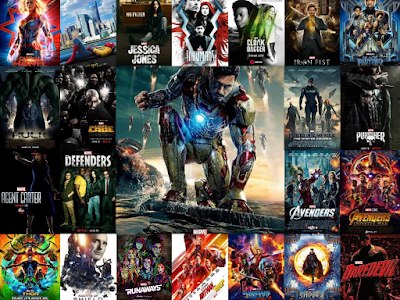 However, where it was at first easy to follow the continuity of the MCU when there were only movies to consider, the problem that plagues the comics soon arose when TV shows where added. What is the MCU watch order? Well, do we have the answer for you! The following is an unofficial and optional MCU watch order (and if you will, also reading order) up to the date of this most recent update, and is intended for first time and repeat viewers. Spoilers will be kept to a minimum. It is not in chronological order, so while Captain America: The First Avenger happens first chronologically, it is not the first episode of the MCU. The first season of this action-adventure series follows Peggy Carter (Hayley Atwell) as she returns to work at Strategic Scientific Reserve after World War II. Upon her return, SSR begins investigating billionaire inventor Howard Stark (Dominic Cooper) for selling weapons to enemies of the United States. However, Stark secretly seeks out Carter and asks her to help clear his name. Carter, in direct conflict with SSR, goes undercover to help Stark. James D'Arcy, Chad Michael Murray, Enver Gjokaj and Shea Whigham also star. In Series 2 Agent Carter moves to LA in the wake of World War 2, giivng her a different territory and set of crimes to deal with. From the Marvel Universe comes -- the agents of S.H.I.E.L.D, ready to defend the citizens of the world. In the aftermath of the battle between invading aliens and the Earth's mightiest heroes, The Avengers, the special law enforcement agency S.H.I.E.L.D begin to intensively recruit new agents to investigate bizarre events and super-human sighting. Led by Agent Coulson, this mismatched team of super spies, geeky scientists, sneaky con artists and regular Joes with extraordinary gifts will have to come together as the first line of defence against the evil forces who seek to corrupt and destroy. In Season 1 of this series based on the Marvel Comics character, former superhero Jessica Jones opens her own detective agency after her superhero career comes to an end. Initially hired to investigate the disappearance of an NYU student, Jones' investigation takes a dramatic turn when a mysterious figure named Kilgrave resurfaces, bringing Jones' past into light and putting her directly in harm's way. Director Phil Coulson (Clark Gregg) embarks on a deadly secret mission to protect the world from new threats in the wake of SHIELD's wars with Hydra and a rogue faction of Inhumans. After defeating Fisk and his empire, Matt Murdock patrols the streets at night as the vigilante hero, Daredevil. However, just as he stands at his tallest, the arrival of a new threat, driven by the same impulse for justice but warped by need for violent vengeance, enters the city in the shape of Frank Castle. However, the arrival of a face from Matt's past also signals an even darker, ancient threat emerging to claim Hell's Kitchen. In Series 4, Ghost Rider Robbie Reyes crosses paths with former agent Daisy "Quake" Johnson. Together, they investigate the worrying appearance of ghosts at a scientific facility. S.H.I.E.L.D are also on the trail, uncovering the mysterious Darkhold, a book of knowledge that is too much for a human brain to contain. Season 5 of the superhero series opens with a big change in setting: Coulson (Clark Gregg) and most of his colleagues are transported to a space station in the future, while Fitz (Iain De Caestecker) is left behind. The team is thrown into a world where Earth was destroyed and the Kree control everything, and they try to blend in without revealing who they really are. They also start working on finding a way back to their time and prevent this future from happening. Meanwhile, Fitz is questioned about his friends' disappearance, but when the military can't help him find them, he decides to try to bring them back on his own.